Honda brand has the perfect vehicle. As your Honda dealer in Sacramento, Mel Rapton Honda proudly offers the full lineup of cars, trucks, and SUVs. Take everyone along for summer fun with the Honda Pilot. This three-row SUV has space for up to eight people, plus excellent cargo room in the rear to fit all your gear. On the open road, the Honda Pilot keeps everyone entertained with Apple CarPlay and Android Auto integration as well as Bluetooth streaming audio, so streaming all your favorite songs from your phone is a breeze. You can also get SiriusXM satellite radio and HD radio for even more options. Never get lost with the available Honda Satellite-Linked Navigation System. It provides 3-D renderings of the terrain and buildings, plus road signs and lane guidance so you won’t miss a turn. Whether you want to cruise around town or rip through empty country roads, the Honda Civic Si Sedan is great for both. It looks even sportier than regular Honda Civic models, thanks to unique exterior components that make a strong statement everywhere you go. Under that curvy hood is a potent turbocharged engine, putting 205 horsepower at your command. It combines with an adaptive damper system for the suspension, so you get precise control and amazing capabilities all in one car. You’ll have just as much fun on main street as you will on a track. What’s more, the standard close-ratio six-speed manual transmission makes rowing through the gears an absolute blast. The car also features a helical limited-slip differential and a specialized sport mode, so you have extreme confidence even on challenging roads. 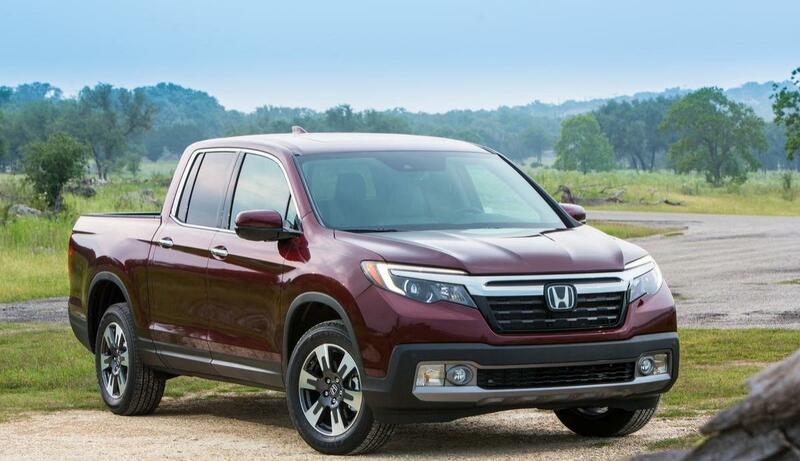 Whether your summer plans take you far away from civilization or right in the middle of downtown, the Honda Ridgeline will be right at home. It handles with the kind of agility and comfort you wouldn’t expect from a pickup, plus has a spacious interior everyone will love spending time inside. Hauling camping equipment, luggage, or supplies for a yard project is easy with the innovative bed. The tailgate can flip down like with a traditional pickup, plus it can swing like a door from either end. You get the extra assurance of a locking compartment in the bottom, which is a great place to stow tools or other valuables out of sight. There’s even the option of adding a power plug to the bed, so you can bring along a television, power tools, or whatever else. There are so many other Honda models that are great for summer fun. Come to Mel Rapton Honda today and check them out in person.